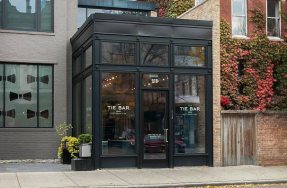 Join us on Friday, February 22 at 7:30 p.m. for Lincoln Park Night Out at Steppenwolf Theatre (1650 N. Halsted) for a performance of A Doll’s House, Part 2. Use the code LPCCNIGHTOUT to receive 50% off tickets PLUS a free drink at Front Bar. As a door slams in 1879 Norway, a young wife and mother leaves behind her family, freeing herself from the shackles of traditional societal constraints. Now, 15 years later, that same door opens to reveal Nora, a changed woman with an incredibly awkward favor to ask the people who she abandoned. Lucas Hnath’s bitingly funny sequel to Ibsen’s revolutionary masterpiece unfolds in a series of bristling stand-offs that reveal in Nora’s world, much like our own, behind every opinion there is a person, and a slamming door isn’t just an end, but also the chance for a new beginning. 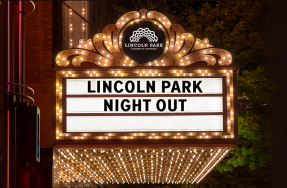 Lincoln Park Night Out is a new monthly series showcasing theaters in the Lincoln Park neighborhood to celebrate the 2019 Year of Chicago Theatre. Click here for more information and participating theaters.